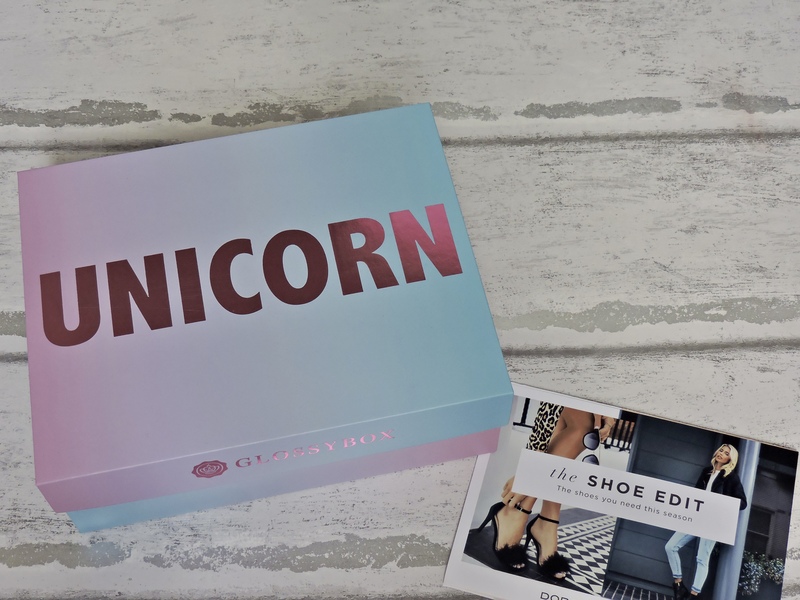 Hello everyone, thanks for clicking on my very late October Glossybox post! 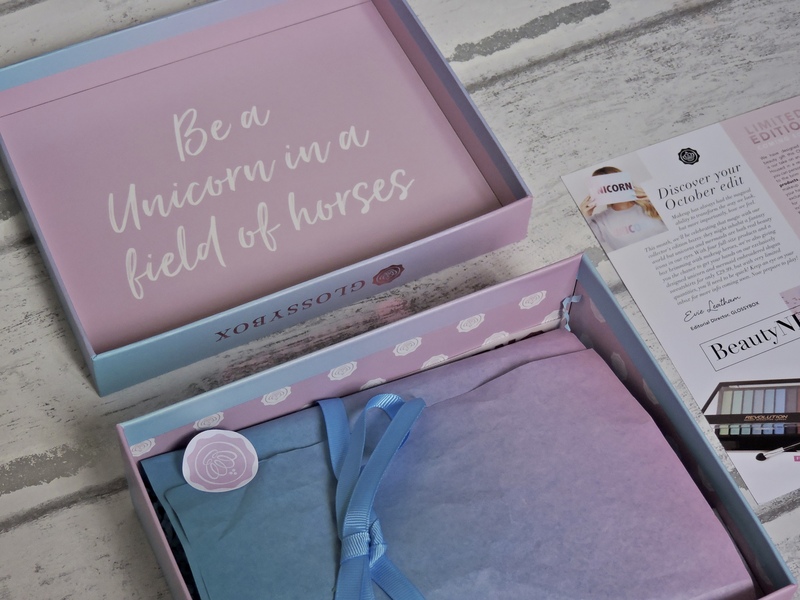 If you havent already seen about 100 other reviews about last months Glossybox, then I hope you like my post. EVERYTHING IN THIS MONTHS BOX WAS FULL SIZED!!! that is so amazing! 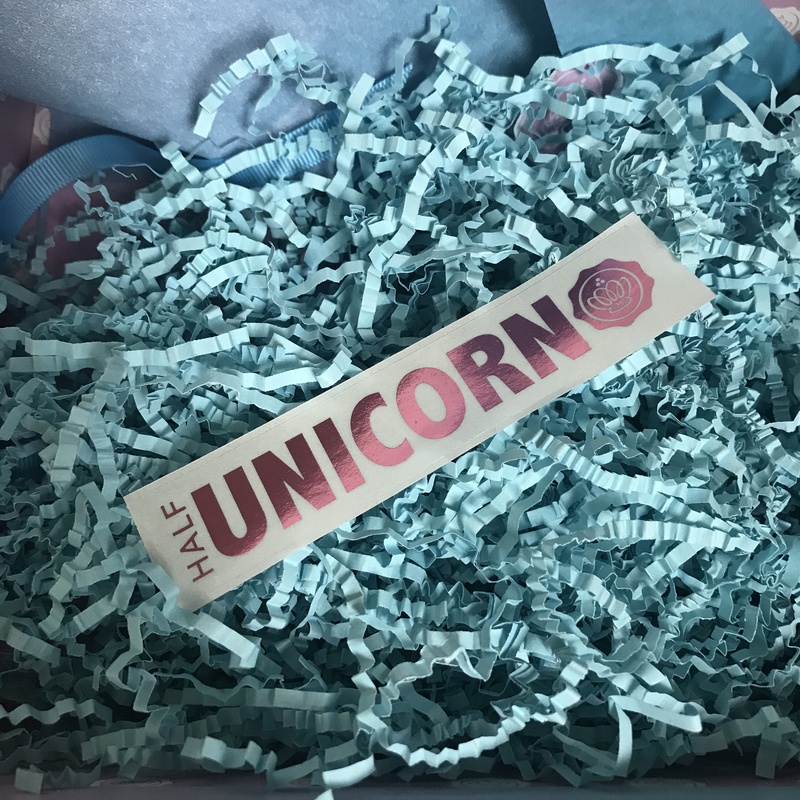 Last month I received the Unicorn Glossybox and got this cute sticker inside! 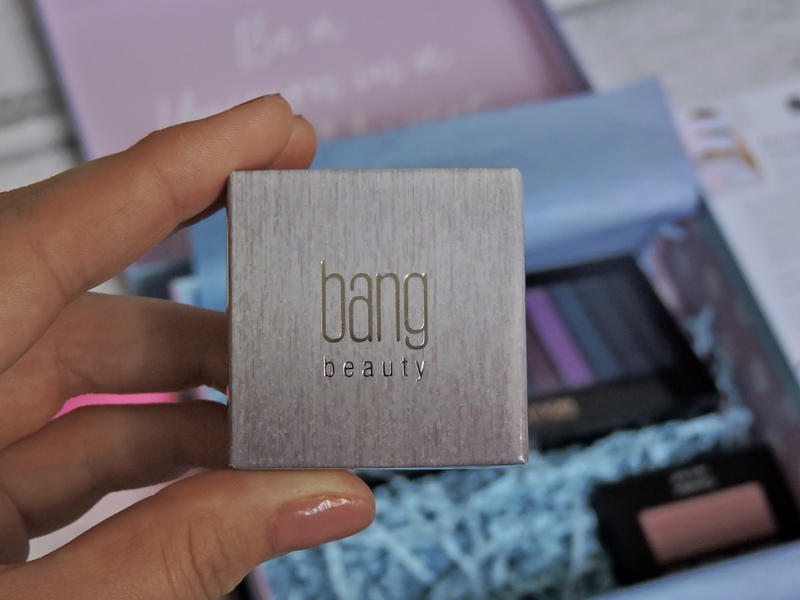 BANG BEAUTY, Cream Colour – £19.50 FULL SIZE. They changed the box again and I thought it was great. I really liked how everything inside was colourful and pink! although, I do think it would have been cool if they brought out an actual Halloween box, like a scary one, that would have been fun! like a black box or something different. I used this the other day to clean my brushes as they needed cleaning. This is really good!!! I love the holographic packaging, it is really different. It really helped me to deep clean my brushes and make them cleaner then ever before. I like that the pattern changed, so you could use this for your brushes how you wanted. I LOVE THAT IT IS BRIGHT PINK!!!! 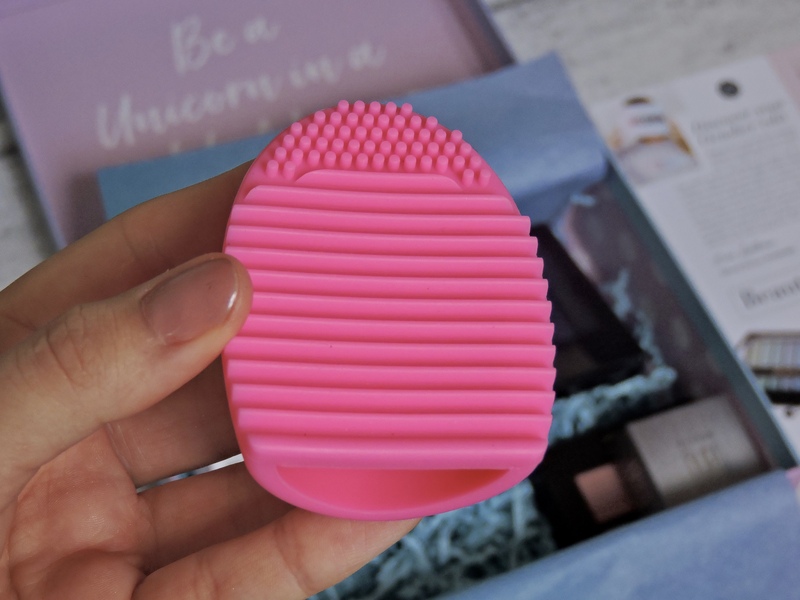 it is hollow so you can put your fingers inside, this makes it soooo much easier to clean your brushes. This is such a winner for me. The packaging was cute, I like how simple it was but it also stood out. The packaging of the product reminded me of the Mac pots. I like that the bottom is clear so you can see the product inside. It is really easy to unscrew off and on again. 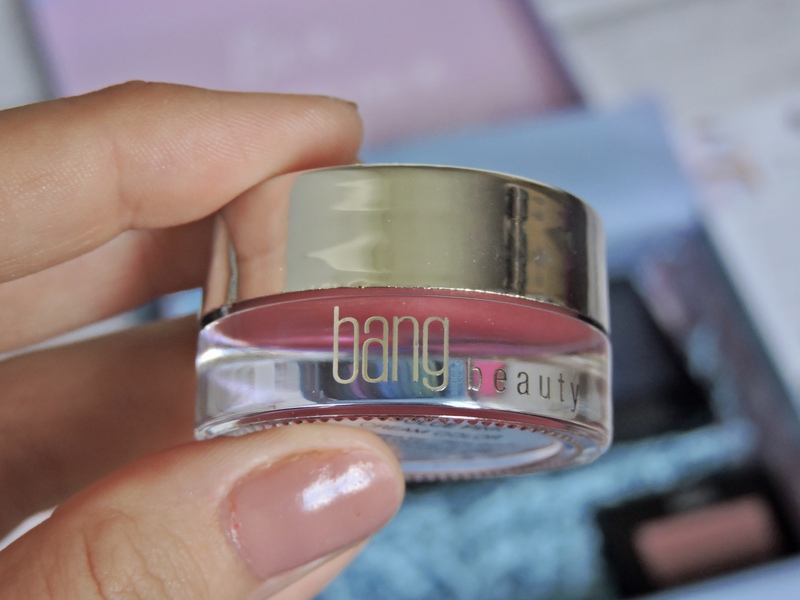 I think this colour is stunning and I LOVE that it is a multi-purpose product. 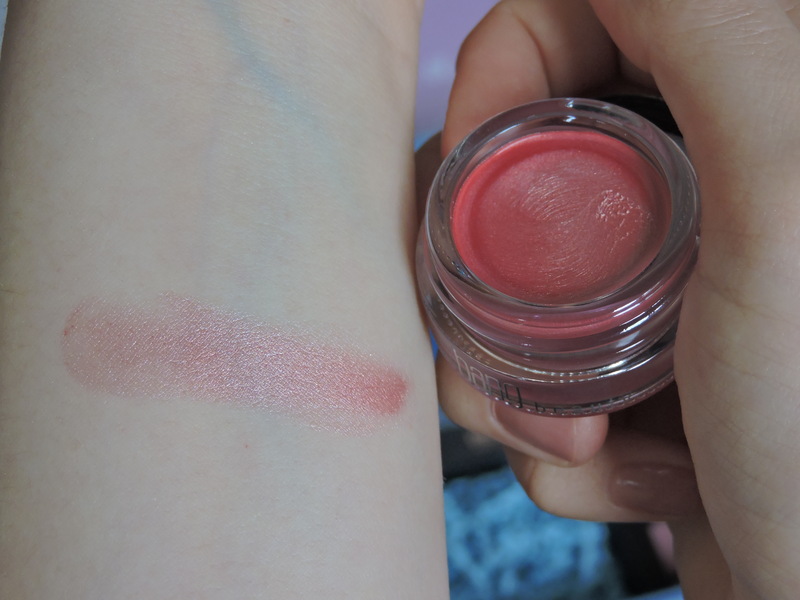 You can use it as lipstick, as blush, highlighter or even as eyeshadow. You are getting so much here out of one tiny product which is amazing. 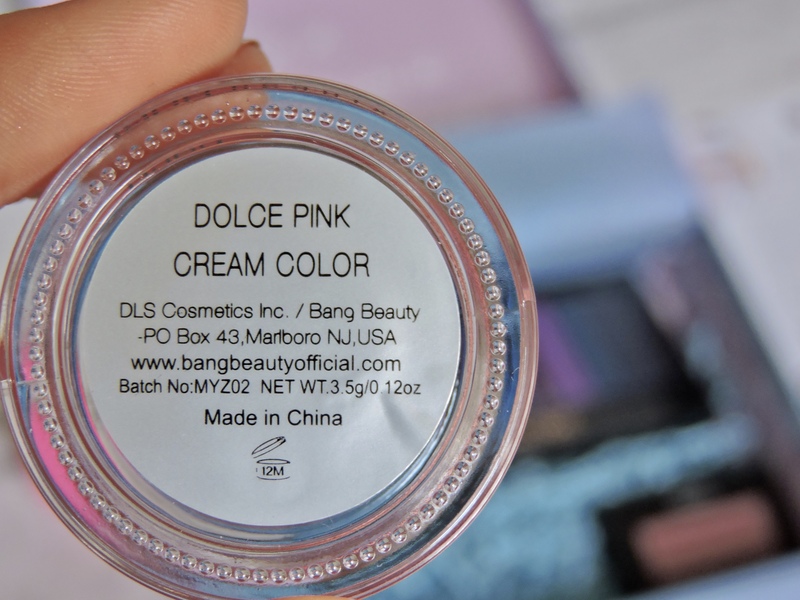 It is a shimmery pink colour and it blends really well. There is a lot of product inside here for how much it is. 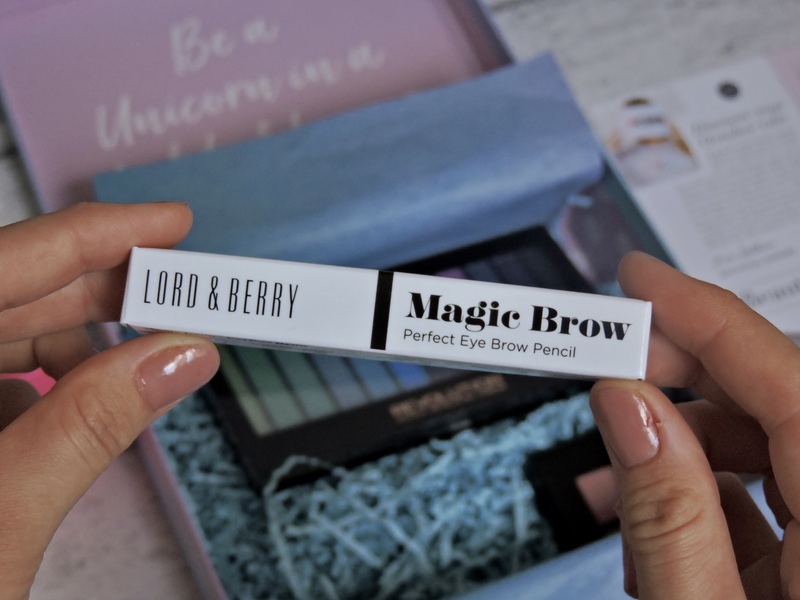 I love Lord & Berry packaging, it is so sleek and just looks really sophisticated. I really like how they have used all different fonts. This colour is probably a bit too dark for me, but this would suit anyone with brown hair really well. It goes on really nicely and I love that you can sharpen it. 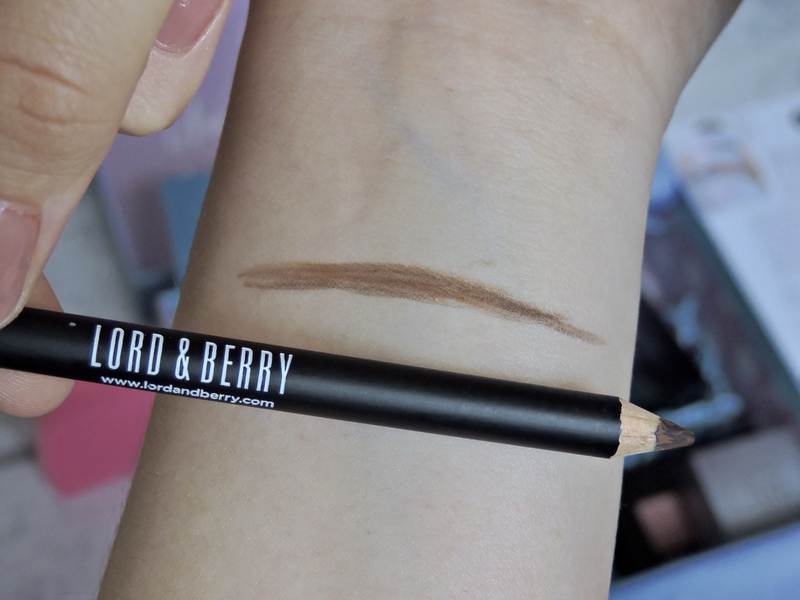 It blends out really well too, so if you like to blend out your brows then this is great for that. 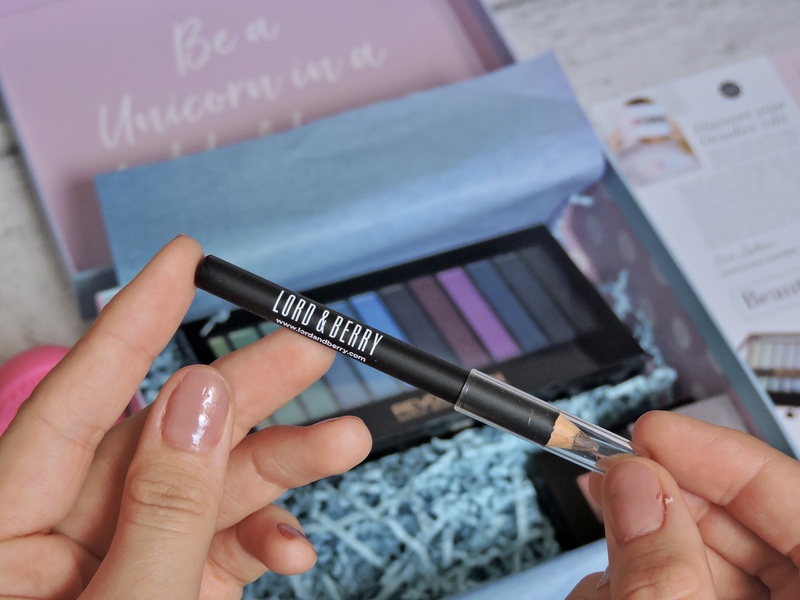 I think this is such a great product to get inside this box, as everyone needs an eyebrow pencil. The actual packaging of the pencil is matte with the logo on the side. Everything about this product reminds me of Nars soooo much but I love it. 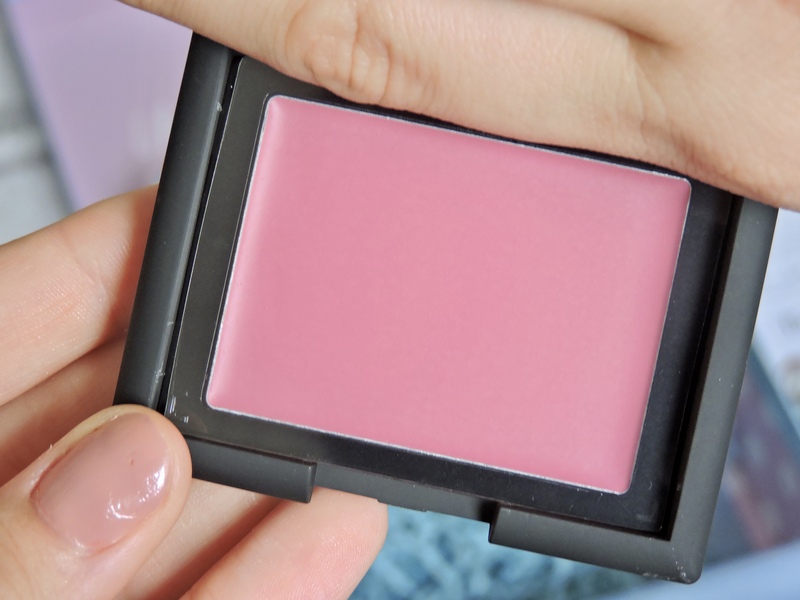 This is such a great alternative for Nars blushes. I love that it is matte but the writing is shiny. It just looks so nice to look at. It is also a good size which is great to pop in your bag. 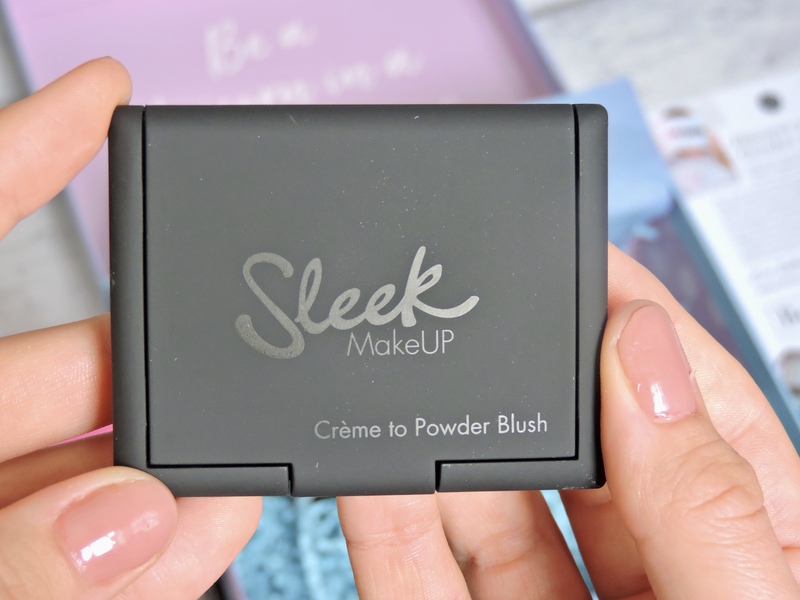 I have never used a creme to powder blush before, it is actually genius. You rub your finger in it and It is a cream then when you apply it is turns to a powder. I think this is awesome! the only thing is, I don’t know if I will ever really use this colour blush. I prefer peachy blushes. I LOVE that it also has a little mirror inside, this is very handy if you are on the go. 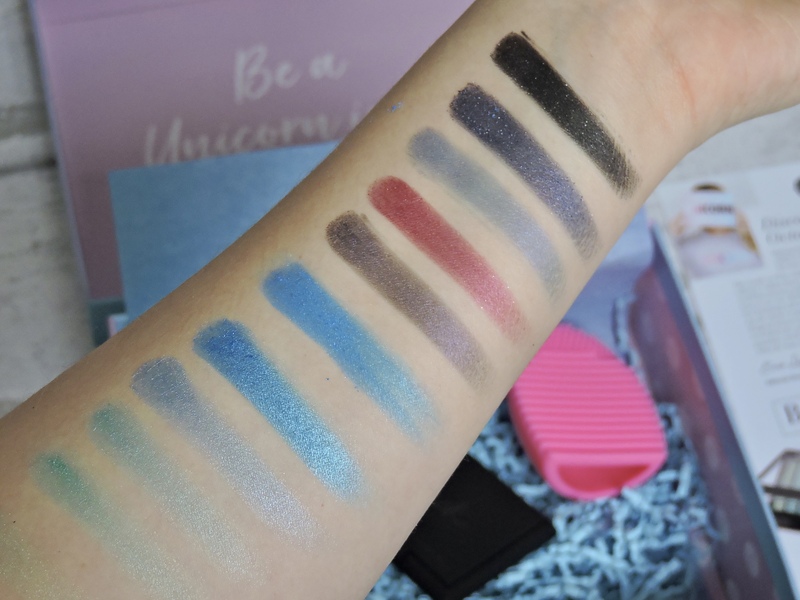 It is also realllllllyyy pigmented! like wow. This is going to last me for a lifetime for sure. 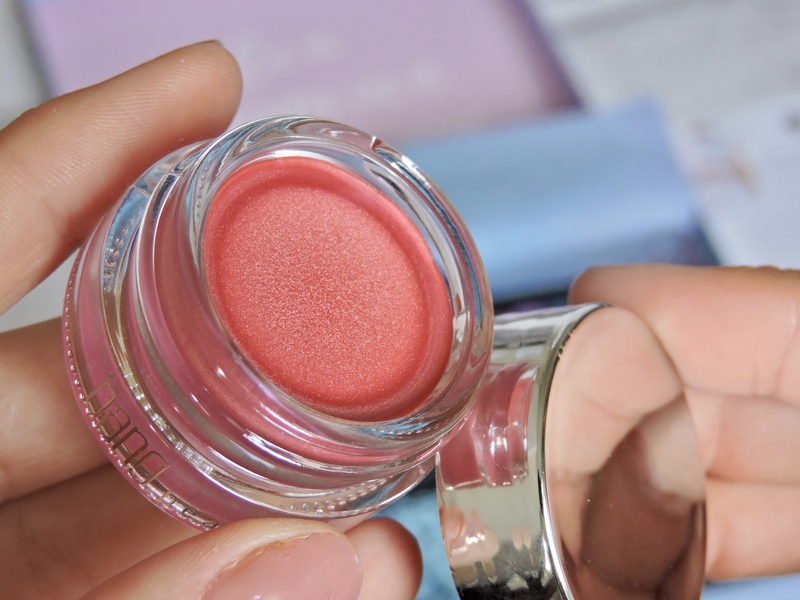 What colour blushes do you tend to use? If this doesn’t scream unicorn to you, then I don’t know what does. The colours are beautiful. They are all matte shades with glitter inside, quite heavily loaded with glitter actually. 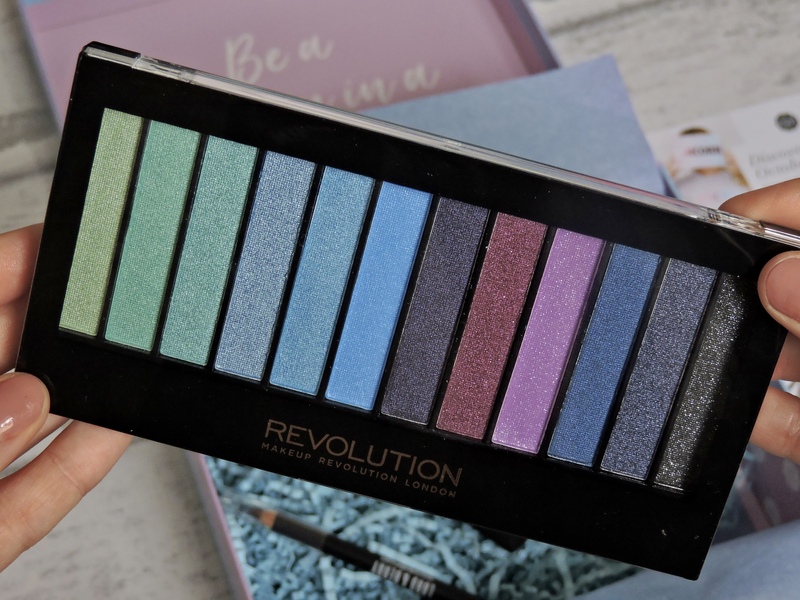 I think this palette is really good for quirky makeup looks, but it isn’t a palette I would normally use. I like that you can see the colours inside the palette because I like to know what I am getting. I would probably have got rid of either the 2nd or 3rd colour as they are really similar. There are quite a lot of blues in this palette so it would have been nice to have more of a verity of colours, maybe some more purples. As you can see that the colours are really pigmented and they blend really nicely. Even when I was swatching it on my arm I could tell how creamy they were. Some of the colours stand out more than others but they are all really lovely. YES!!!!! it literally does! yes, that makes me so happy that you also have it. it is so good isn’t it? I love mine, so happy to receive this! 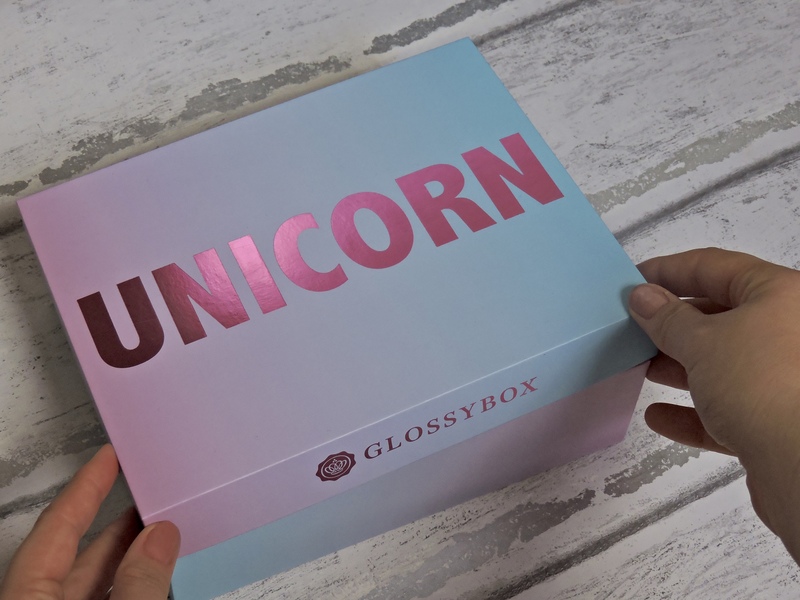 Glossybox are a really good monthly subscription box. That little pink pot is such a great product, it is so good for everything. That is what I thought, it looks like a Nars dupe! 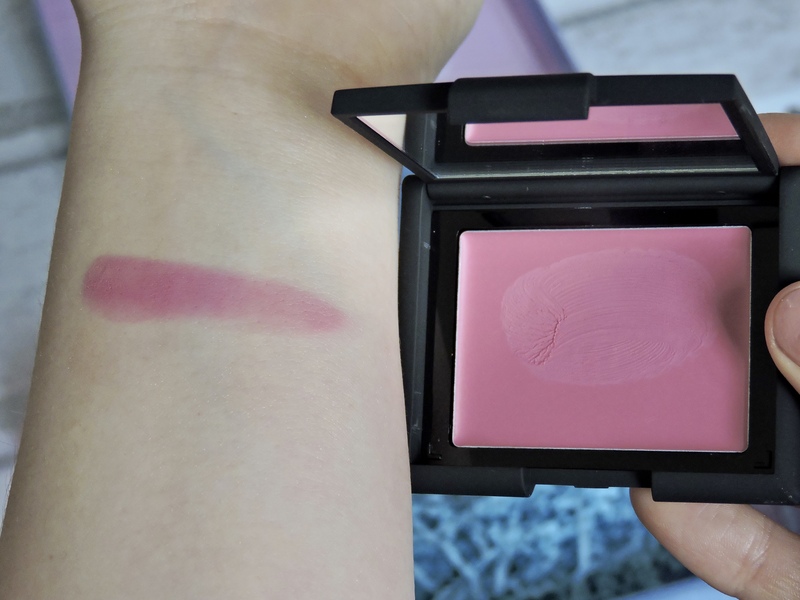 Thats good, I don’t normally wear this sort of blush colour but I might give it to my mum or sister. Ohhhhh I love berry colours! I don’t think I am here for it either lol. Thank you so much for commenting I really appreciate it. how comes??? aw, do you think you will subscribe back to it? The blush looks beautiful! So do the eyeshadow colors. Looks like the palatte would make a great christmas gift! 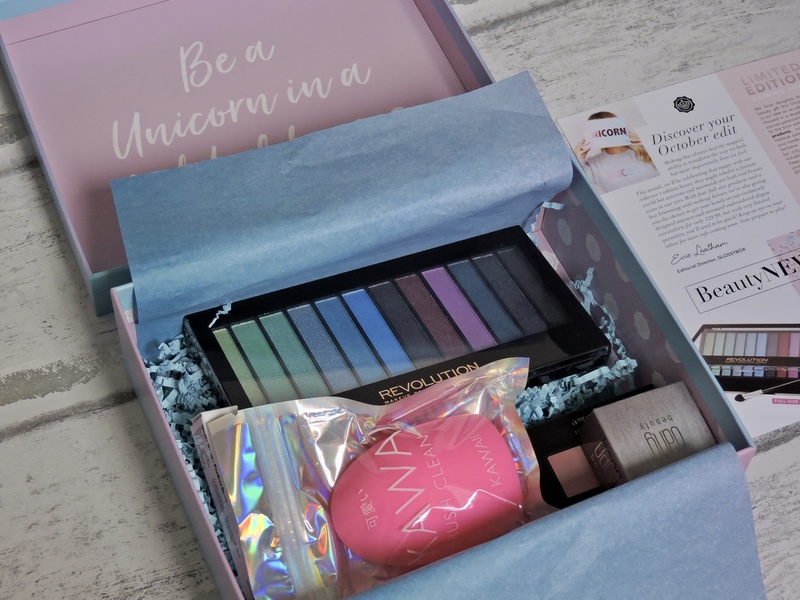 This months glossybox really was full of goodies! Reading your reviews on them really makes me want to subscribe! It really was. It was a cool box to get. Thank you, you should get it! 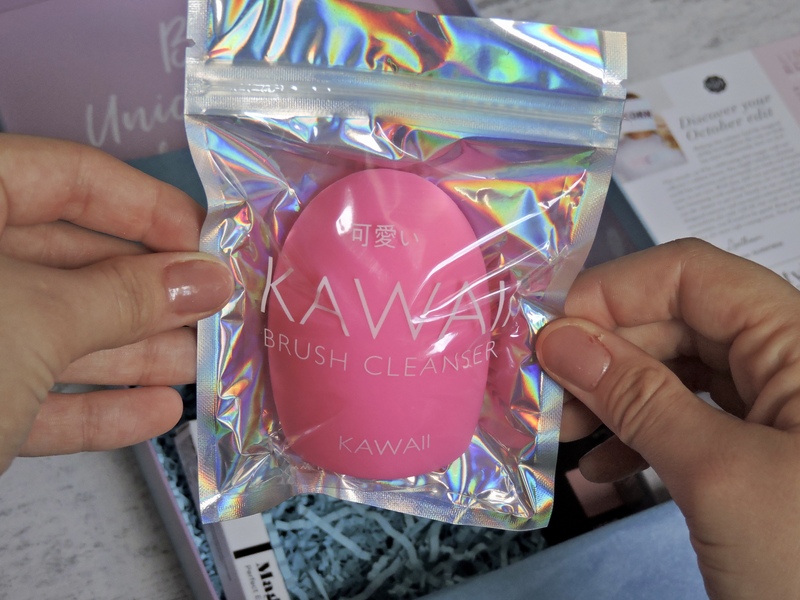 This subscription box looks really good and worth it with the products your getting. I love the colours!! The products look so good and it’s great that October’s box actually had all full-sized products! I keep going back and forth on whether to subscribe to these beauty boxes and I’m so tempted now!